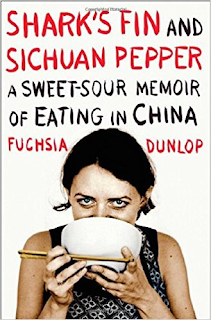 I had heard so many great things about Shark’s Fin and Sichuan Pepper: A Sweet-Sour Memoir of Eating in China and its author Fuchsia Dunlop that when it was a Kindle Deal several months ago, I snapped it up. To prompt myself to read it and not let it languish on my TBR pile, I chose it as our April/May 2018 Cook the Books selection. Dunlop is a British cook and food writer who specializes in Chinese cuisine—in fact she was the first Westerner to train as a chef at the Sichuan Institute of Higher Cuisine and she has spent much time exploring China and its food. She has four award-winning cookbooks focused on Chinese cooking; Land of Plenty (originally published as Sichuan Cookery in the U.K.), Revolutionary Chinese Cookbook, Every Grain of Rice, and Land of Fish and Rice. 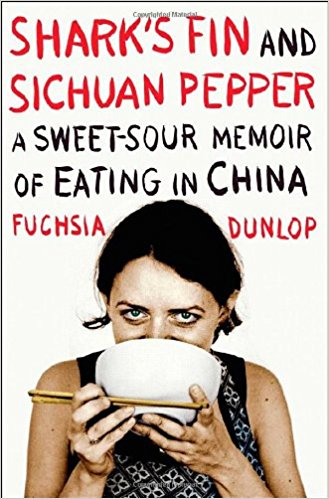 An extraordinary memoir of an Englishwoman’s attempt to immerse herself in Chinese food and Chinese culinary culture. In the course of her decade-long journey, Fuchsia undergoes an apprenticeship at a Sichuanese cooking school, where she is the only foreign student in a class of nearly fifty young Chinese men; attempts, hilariously, to persuade Chinese people that ‘Western food’ is neither ‘simple’ nor ‘bland’; and samples a multitude of exotic ingredients, including sea cucumber, civet cat, scorpion, rabbit-heads and the ovarian fat of the snow frog. It’s been quite a while since Cook the Books has traveled to China and I am looking forward to seeing the dishes that this book inspires!. 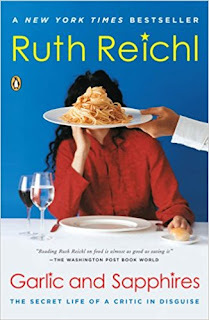 Ruth Reichl, recipient of four James Beard awards as well as numerous other prizes, has written five memoirs and a novel, done TV shows and edited several cookbooks. Out of those, I frequently refer to my Gourmet Today. Garlic and Sapphires stands out as my favorite of her memoirs. I love the way she assumed various disguises to find out how all sorts of customers were really treated — not attracting special service for a well-known critic — and she pulls no punches. She can be truly hilarious, and is such a descriptive and evocative food writer. Think of it like Candide without the pirates. And set in San Francisco. Wait, that's not quite right. It's like Fight Club meets The Great British Bake Off. It's like Fight Club if no one got punched. It's like Fight Club if Fight Club was written by someone concerned with a different, quieter kind of revolution, and if Fight Club was all about bread. With a review and description like this, I cannot wait to read it! I was obviously taken with the title but was absolutely and totally intrigued when I read the publisher's blurb. The main character, Lois, is a software engineer working at a robotics company. Two of her few friends run a diner that Lois orders-out from every day. They unexpectedly close up shop but ask Lois to take care of their sourdough starter. She's not a baker but this sourdough gift starts her on a new journey and brings her into contact with the area farmers market vendors. Intrigued? Remember, Lois is a software designer and there is a sci-fi/technology twist to the plot. 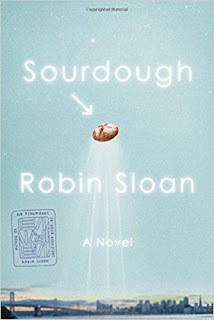 Sourdough is Sloan's second novel, a followup to the well-received Mr. Penumbra’s 24-Hour Bookstore (October 2012). He currently is a partner in Fat Gold, a California Olive Oil Company. Hope you enjoy this wild ride of a read. I am anticipating lots of yeasty recipes. I personally, am ordering some starter now. 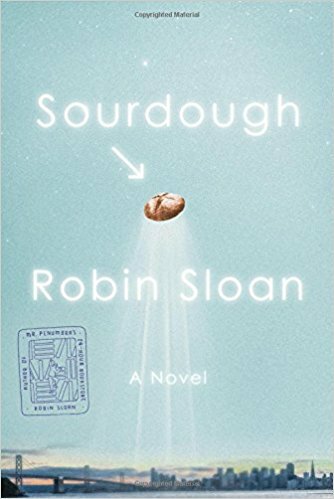 The deadline for Sourdough is Sunday, September 30, 2018. I was glad to see this book mentioned on our suggestion page, as it was already on my TBR list. I have had to pleasure to meet Michael and hear him speak, so I am thrilled to read his book and share the experience with others. Deadline for contributing your post: Friday, November 30, 2018. Remember that membership is open to anyone and we hope you will join us by reading these selections and creating inspired recipes. For more information about participating in our virtual book club, click here. Welcome to the current round-up! For the past two months our members have trekked back to ancient Rome with Feast of Sorrow by Crystal King. King's tale follows the life of Thrasius, a culinary-gifted slave purchased by Apicius, a Roman patriarch that is obsessed to be named the culinary adviser to Caesar. There is more than a plethora of food in the novel, everything from fried flamingo tongues to stuffed dormice. As Thrasius creates and develops delicacies for his master's table, there is also more than enough cruelty as slaves are condemned to unspeakable atrocities. You can read the announcement post here. It seems like the readership loved this book which is always a relief to the host of each round. (Thanks, all!) There has also been a great deal of discussion as to whom would play Apicius in the film version of this novel. (I believe the topic got started by Tina .) 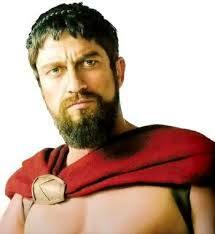 So, before we begin the round-up of Roman inspired dishes, let's pause for a Gerard Butler moment. Gerard as Aspicius? Casting is calling. The treason and infidelities committed in this book makes for a good plot. I was simultaneously fascinated and saddened to see innocents drawn in, suffering undeserved consequences. The ending chapters were indeed horrifying but I can’t give away the plot. It all comes together and I could have read more. 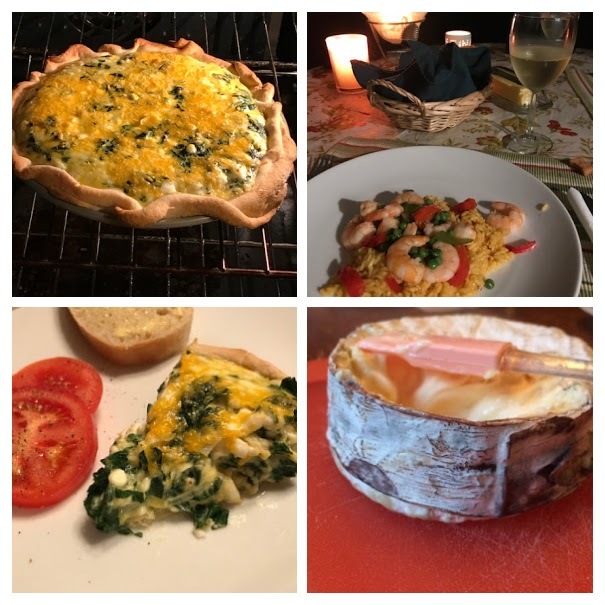 While flamingo tongues did not inspire her, she created a full meal of spinach pie, shrimp paella, white wine, homemade bread and soft ripened cheese wrapped in strips of spruce cambium. A feast fit for Apicius! Thrasius, previously owned by a cruel taskmaster who didn't hesitate to beat him and use him for his sexual deviancy, wants very badly to impress and please Apicius. The very first meal he serves him is Ham in Pastry. Wendy enjoyed the novel and enjoyed this dish. In fact she writes, "It was delicious and I'm sure Apicius would have allowed me to live one more day......." Indeed, I am sure of that as well, Wendy. Amy was thinking similarly to Wendy and was inspired by the same reference in the novel. 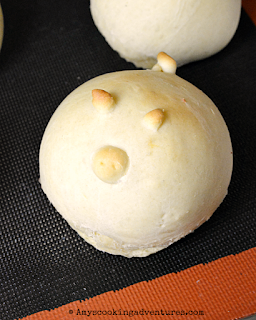 Her Ham & Swiss Stuffed Piglet Buns are beyond cute and creative! Culinary Adventures with Camilla was next up. 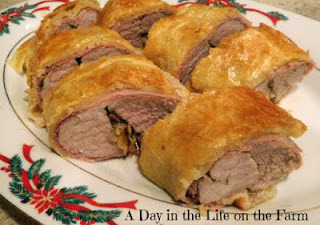 Cam posted her take on another ancient Roman favorite Parthian Chicken. She adapted the recipe for game hens. Camilla commented on the research and authenticity of King's book. (Camilla studied Latin and lived in Rome after college.) I think she also summarizes the crux of the book well. 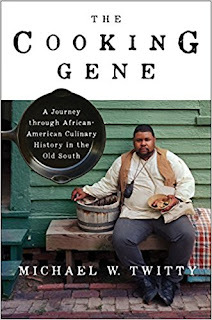 Some of the earliest foodies, it turns out, wrested credit for the work of the talented cooks they enslaved. This is a story where innovation collides with exploitation, loyalty with rivalry, and love with venomous hatred. 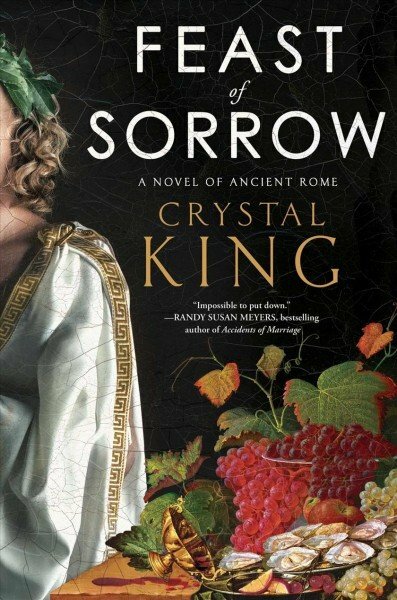 I highly recommend this for any fan of historical fiction, anyone who loves Rome, and anyone who enjoys feasts and foods. I found it impossible to put down. Twice. Cook the Books co-host, Claudia, cooked up an authentic Roman feast. She found it hard to narrow down what to make from the lengthy list of food in the novel. I wanted to make a simple Roman style meal. No stuffed dormice or crispy, fried flamingo tongues. Something ordinary people would sit (lie) down for. Not having a troop of kitchen slaves to assist, and without some rare or hard to find ingredients, we must rely on approximations and shortcuts occasionally. 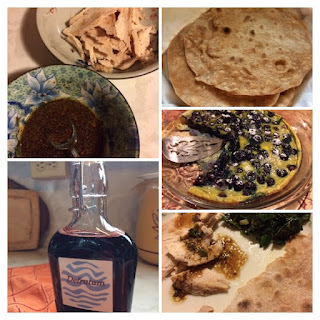 Claudia used fish sauce for the ancient garum and created a meal of Chicken in Sweet and Sour Sauce, Defrutum (a grape based simple syrup), Spring Cabbage with Cumin, Lagana (flat bread), and a blueberry patina. 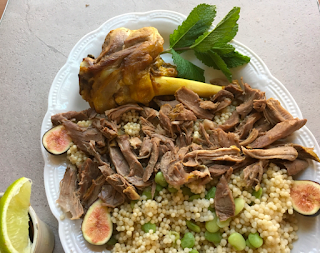 She went outside of her comfort zone having never made Persian dishes or cooking with lamb. Here's her Persian Lamb with Couscous. She writes that if you can manage the array of spices in this dish, it's a simple dish. Love your presentation, Cathleen. Lynda from Reviews, Chews & How-Tos read the book while trekking through Germany, including the Roman city of Trie. I loved reading her thought process of trying to do a Roman recipe while going Whole30! My modifications involved switching the wine for wine vinegar, getting rid of the brown sugar entirely, and switching out the prunes for dried dates (why? Because I have dates in the house, love them, and dates and figs feel more Roman to me). Finally, in an homage to the never-ending fish sauce, which seemed to go into everything, I added a bit of Red Boat fish sauce, too. Her Chicken Apicius (Whole30) was so good it has found it's way into her regular recipe rotation. Simona, another co-host, enjoyed the historical aspect of the novel. 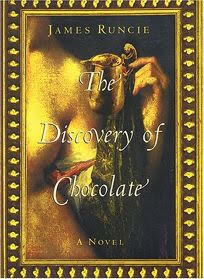 The novel weaves together the lives of the individual characters with ancient Rome's life, politics and cuisine. A couple of novels I read some years ago prompted me to delve into the subject of Roman recipes for which De Re Coquinaria(a.k.a., Apicius) were the source1. This is not the right venue for a detailed discussions of the relationship between Marcus Gavius Apicius and De Re Coquinaria. The latter is a great source and I consulted it again to find a recipe to go with our book selection. She delved deep in to ancient Roman recipes and pulled an authentic dish from De Re Coquinaria. 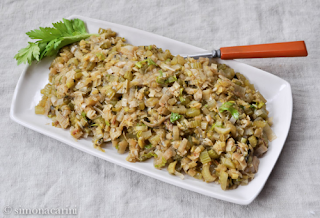 Her Braised Celery and Leeks can be turned into a meal with the addition of some beans. I love the versatility of this dish. Because the novel is also about triumph despite overwhelming odds, I was inspired by one of Thrasius' dishes, stuffed beet leaves. 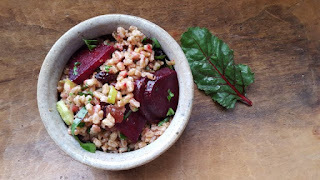 I created a recipe using the flavors of his dish and threw in some farro because it's an "ancient" grain that he probably had as well. Here's my Beet and Leek Farro Salad with Spiced Vinaigrette. As the host of this round, I am ecstatic that everyone enjoyed (or loved) Feast of Sorrow. 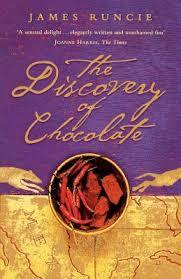 Like the rest of you, I am looking forward to the February/March round with The Discovery of Chocolate by James Runcie (hosted by Simona at bricriole). Look for her announcement post here soon. You might have noticed that we're missing a co-host this round. Deb from Kahakai Kitchen regretfully had to sit this one out. Please send good thoughts her way. Get well soon, Deb! 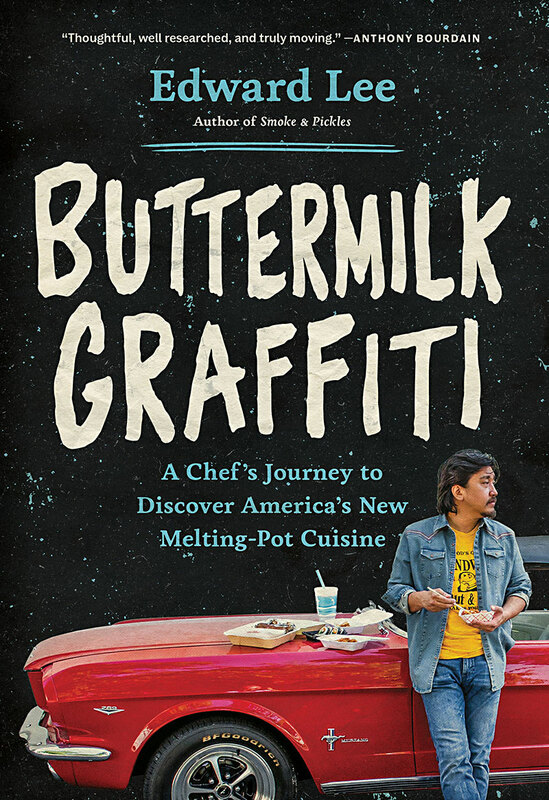 Like everyone else has stated, this book is FULL of food scenes. I am drooling every time I read this. However, these are foods that most of us haven't heard of, with spices and herbs I am unfamiliar with. That's how good this author is at description. My inspiration is coming with more of the plating ideas than of actual cooking. As I continued reading, though, I noticed how many times the guests were treated to honey water and honey cakes. Over and over. I decided I wanted to give a honey cake a try. I researched ancient recipes for honey cakes and I actually found a few recipes. 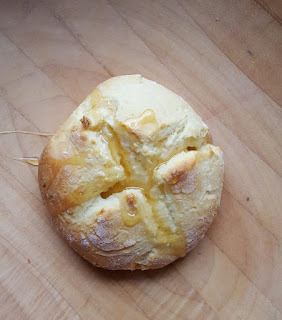 I decided to give this one by King Arthur's Flour a try. Here's her take on a honey of a honey cake. Please reach out and show her some CtB love.